Soju Kai (which literally means ‘group of the twin trees’) was founded in Tokyo, Japan in 1975 by Yoshio and Yukie Negishi (Noh-gaku, Kanze school professional players 観世流能楽師, certified instructors). The group originally focused on Noh, the traditional masked dance drama of Japan. 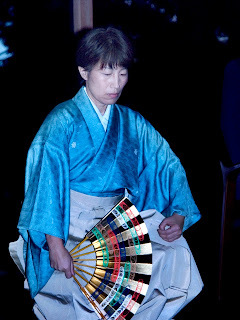 Since inheriting the title, Kumiko Negishi-Lawrence and Kenneth E. Lawrence now present traditional and traditionally-based performances and lecture/demonstrations focusing on noh as well as storytelling forms from throughout East, Southeast and South Asia.